Philippe Gilbert’s fantastic spring season continued on Easter Sunday, as the 34-year-old outsprinted Michal Kwiatkowski (Team Sky) to win his fourth Amstel Gold Race, following the victories of 2010, 2011 and 2014, an achievement which took him to second in the all-time winners list, behind home rider Jan Raas. A 261km-course, with 35 climbs packed between Maastricht and Berg en Terblijt, and a new finale awaited at the start of the 52nd edition, which saw Quick-Step Floors deploy a very strong team, which included, besides Gilbert, also Gianluca Brambilla, Dries Devenyns, Bob Jungels, Daniel Martin, Maximilian Schachmann, Zdenek Stybar and Petr Vakoc. As always, Amstel Gold Race was a tough and nervous affair, made so by the challenging course and the road furniture which led to several crashes. In one of these, Philippe Gilbert was among the riders to hit the deck, but fortunately he was left unscathed and quickly remounted and continued the race. 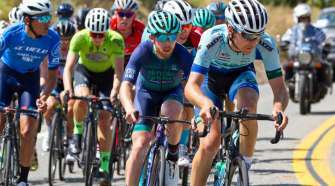 At the front of the peloton, a strong and concerted chase behind the 12-man original breakaway meant the peloton came back together with around 45 kilometers remaining, signaling the start of a new race. On Kruisberg, the day’s 29th climb, Tiesj Benoot (Lotto-Soudal) attacked and Quick-Step Floors’ Belgian Champion was the first to respond. Six other men followed that move and in the blink of an eye they went clear, opening a small gap on a chasing group which included Greg Van Avermaet (BMC), Alejandro Valverde (Movistar) and a remarkable Bob Jungels, who marked his opponents’ attempts. By the foot of the Cauberg (900 meters, 7%), which was climbed for the last time on the day inside the final 20 kilometers, the leaders – with a very active Philippe Gilbert, who took some long turns at the front and pushed relentlessly to ensure the move will stick – increased their advantage to 40 seconds. On Bemelerberg, which this year had the honor of featuring as the final climb of what proved to be a very exciting edition of Amstel Gold Race, Kwiatkowski went, only to be soon countered by Philippe. Things didn’t stop there, as the Ronde van Vlaanderen winner accelerated over the top, taking only the Pole with him. 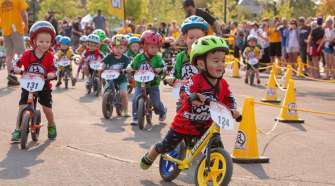 Together, they built a solid gap, which allowed them to play a cat and mouse game in the closing kilometer. With 700 meters to go, Philippe was at the front, soft-pedalling and looking over his shoulder at the Milano-Sanremo champion, who decided to open his sprint at the 300m-to-go mark. Despite Kwiatkowski putting several bike lengths into him, Gilbert didn’t panic and took full advantage of the headwind to catch his rival and surpass him 50 meters from the line, before raising the four fingers of his right hand to show the number of victories he took throughout his career in Amstel Gold Race. “We went early, on the Kruisberg, and we worked really well together. All the guys deserved to win, because they did a great job helping the group go. On Bemelerberg, I could see everyone was as their limit, but I attacked and got a gap with Kwiatkowski. 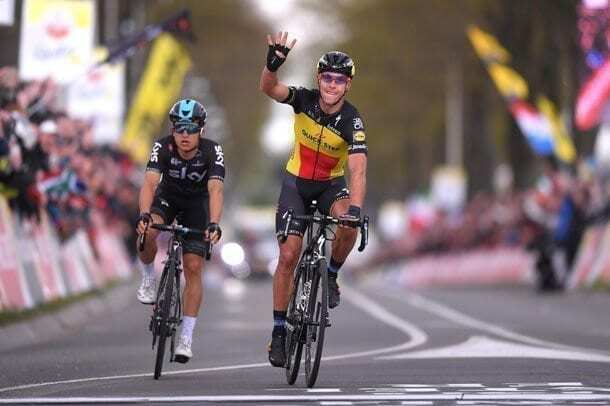 He surprised me a little bit in the sprint, but knowing there was a headwind I remained calm and got closer and closer”, said Philippe Gilbert after achieving the stellar feat of becoming the third rider in history to win Ronde van Vlaanderen and Amstel Gold Race in the same season. “Today’s race was hard and we rode aggressively, but this is my favourite way of racing. I’m not scared of this and I’m very happy of how things panned out. It was a perfect day! My goal every season is to win a Classic. Now it is already two and this is maybe for the years I didn’t win one”, concluded the Quick-Step Floors rider after bringing the team’s 24th victory of the year and helping the squad managed by Patrick Lefevere to further extend its lead at the top of the World Tour standings.